The results of the findings of the search engine are huge and presented in a line of pages. These are known as Search Engine result pages. Even on one page the results are ranked according to certain criteria being employed by the search engine. The most notable and famous search engine is no doubt the big giant Google. After Google the MSN Search (also previously known as Windows Live Search) and Yahoo are noteworthy. After the merger of MSN and Yahoo the MSN Search Engine is famous with the name of BING. Archie was the first tool to search the stuff on internet created in the year 1990 by three students of McGill university (Montreal) named Peter Deutsch, Bill Heelan and Alan emtage. Archie could not index the contents of the sites. The first search engine named W3 Catalog was released in September 2, 1993 by Oscar Nierstrasz. W3Catalog was created on the basis of Perl scripts written by him. These scripts mirrored the pages and rewrote them in a standard format. The operation of search engine is based on two functions. One is crawling and the other is indexing. The third step is to provide answer that is based on checking the relevant material acquired from crawling and indexing. The search engine crawler (also known as spider) has to crawl billions of files available on the internet and the path it uses is called “links”. It is through links that automated robots of search engines crawl through millions and billions of interrelated files and documents. After such pages have been found the spider deciphers the code and stores them in gigantic hard drives. When one puts a search query these codes are recalled. The surprising thing is that access to billions of pages occurs in just a fraction of a second. How is it possible? The datacenters have been established throughout the globe. Hundreds and thousands of high speed machines have been installed on such massive storage facilities. These machines are constantly processing information and this is the reason that we get our desired results in less than a second. The query can be a single word or a number of words in a phrase. The search can be particularized by mentioning the file type in which we require a result. For example if one wants to see the result as image in JPEG format, he can write .jpg as an extension with the search keyword. If one wants to see the result as a document of MS Word or an adobe reader pdf file, he can use the extension .doc or .pdf. After crawling and indexing the information the search engine has to come up with the answer. The basic two principles that search engine follows are relevance and importance. The relevance doesn’t only mean to match the keywords. In the early times this was the only principle of relevance that search engines followed. Now after effortless researches the search engine specialists have devised many algorithms to check the relevance therefore the results are more refined. The importance basically relies on the “popularity”. The blog or website that is more popular is being ranked better. To determine what is more relevant and important many algorithms have been devised and defined but that is a separate field of study. 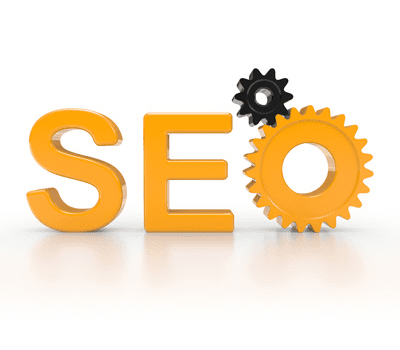 Such factors are called “Ranking factors” for search engine optimization.